My journey in Berlin started with two days enjoying its winter landscape and counting days down to the conference for which I was determined to do the whole trip from my country, Tunisia in order to attend. Thursday, here it is! Data Natives opened its doors! I got up that same morning very excited to meet people sharing with me the passion for technology! I already discussed with some of them on twitter,like Lisa Winter and Evelyn Münster, so I was eager to get to know them. Looking at the schedule, it was difficult to choose which talks to join since all of them were interesting. There were subjects about Visualizing and Communicating High Dimensional Data, Clustering Data, Big Data Semantics, Connected things, and much more here. Besides, as Artificial Intelligence is a field full of diversity in every component, points of view also vary, and that’s why there was a Panel about “the future of AI and Universal Basic Income”, directed by Prof. Dr Hans Uszkoreit, Scientific Director at DFKI and with Nima Asghari, Senior UAV Applications Expert at Drone Industry Insights, Dr. Abdourahmane Faye, Big Data SME Lea, Michael Bohmeyer, CPO at admineo as panelists. The discussion was mainly about the job opportunities drop down due to robots replacement of many tasks done by Human now and by consequence causing a reflection point: is it really a curse? Should we be optimistic about that fact? Are they killing our jobs? Is the Universal Basic Income a solution in order to ensure living cost for those would-be jobless people? Top talks according to me? Well, I’ve enjoyed starting the day with Kim Nilsson, CEO and Co-Founder of Pivigo where I discovered “what does it take to be a successful Data Scientist”. 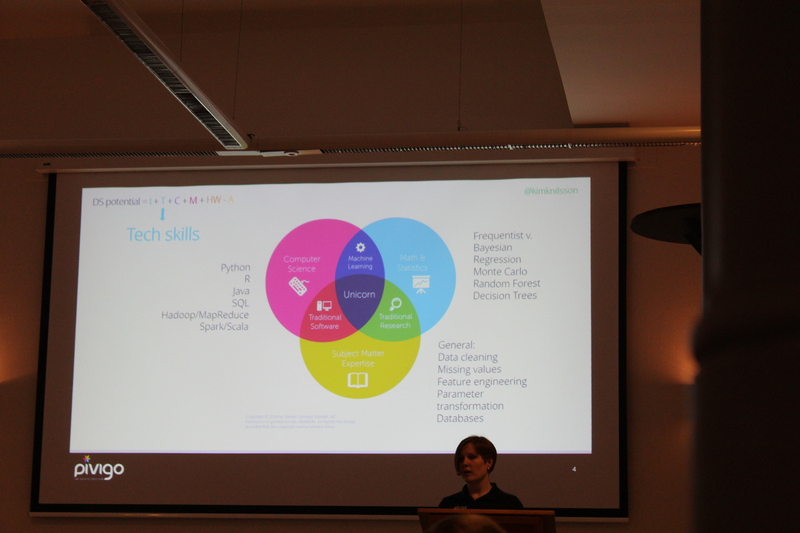 DS potential consists of Interest + Technology (tech skills in at least one of the most commun tools/languages) + Communication (As Data Science is not easily understandable by non-DS people, it requires communication skills so that the information can be transmitted) + Motivation + Hard Work – Academia. After that, I was pleased to see an example of how data processing and integration can be a benefit when it’s accessible by everyone! This can be done using Open Data. Christina Schoenfeld, Business Developer at Open Data Soft, presented to us the advantages of harnessing open data by making it easy to publish and to understand in Germany, which can be of a huge innovative potentiel, with impact on society and economy. 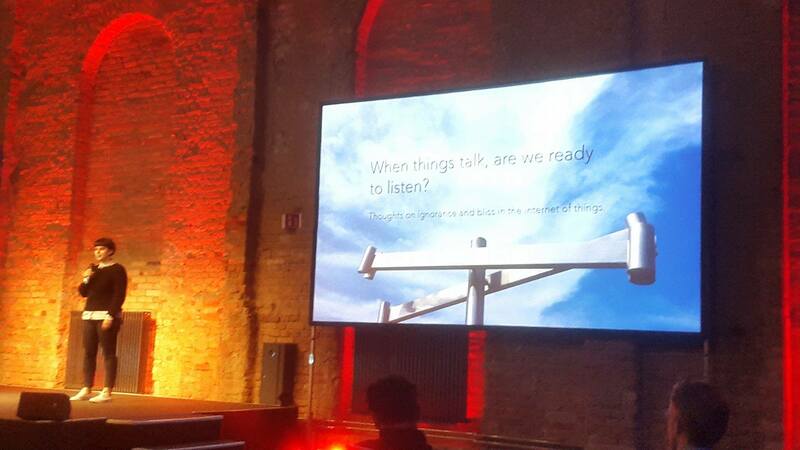 In the other side, Alexandra Deschamps-Sonsino, Director of Design swarm, shared with us an important reflection time about the internet of things and the use of data, questioning: “When things Speak, are we ready to listen”. Many hidden truths behind the data were showcased.. such as the ones using fitness track systems actually do not loose weight while the others who’re NOT using them Do!More intriguing, the tools used to track elders in order to help take care of them actually made them more susceptible to be left alone, with miserable company (TV and pets) instead of having their children around them. Oh, yes! there is Data Hypocrisy!.. Many more interesting points were mentioned by Alexandra and I’ll relate one more: she presented some alternatives like “good night lamp” and Data Brick which encourage people to have control over their own data experience. I’ll say no more, and I’ll let the last words on this blog post be Alexandra’s last presentation’s advice. See you tomorrow! 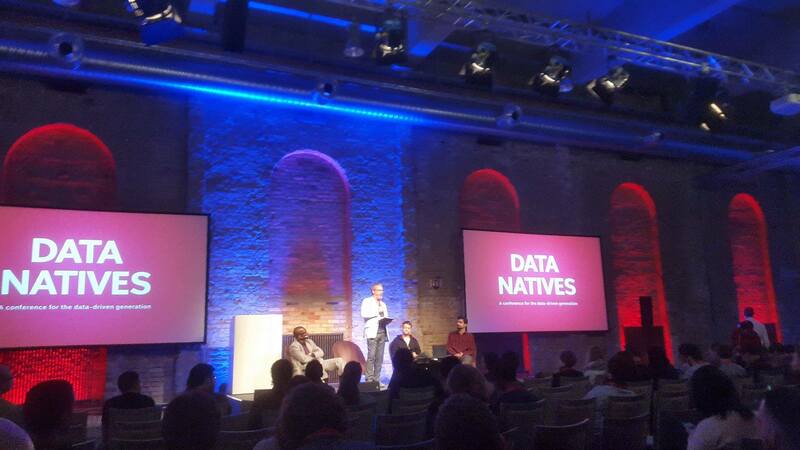 Note: Data Natives day 2 is available here.